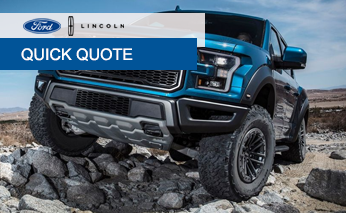 At Robinson Brothers Ford in Baton Rouge, we make getting a quote on any new car quick and easy for you. Tell us the model and year, along with any extra features or accessories that you are looking for, and we will contact you with the price and availability of the vehicle. To help give you an even lower price, we will see what bonus incentives you may qualify for currently. Are you looking to put a down payment on your vehicle, or do you have a used vehicle you are looking to trade in toward the purchase of a new one? If so, let us know, so we can apply that toward the price of the vehicle and help give you the best deal possible. As always, the staff here at Robinson Brothers Ford is committed to giving you the best deal possible on your purchase of a new Ford or Lincoln vehicle. If you would rather speak to someone, please give us a call directly at (855) 493-1385, or stop down at the dealership so you can not only get your quote, but also take the vehicle for a test drive!